7:30am: It’s garbage day so Harper is going nuts! She hates the garbage trucks and I have tried everything to help calm her down. I have found that the only thing that helps is if I keep her in the bathroom with me while I get ready for work, between my hair dryer and the bathroom fan she can’t hear the squeak of the trucks. 8:30am: Today I have a 4 man crew working at an estate with me, 2 of the guys who work with me regularly (Unga and Esa) meet at my house and we load up the truck. Today I need to bring tables for the sale we are prepping for and a cooler filled with water and Gatorade. Chris and I bought a truck in the fall and it has really paid off with my business, it is so much easier to haul stuff around and deliver furniture that I sell online. 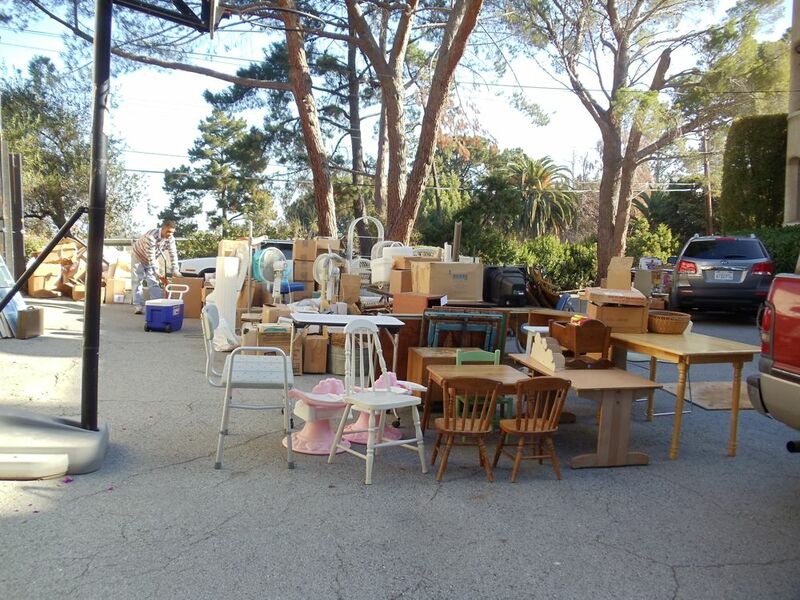 10:30am: The garage has been emptied, we swept it out, set up tables, and start to bring antiques back in and organize them into “like” categories. 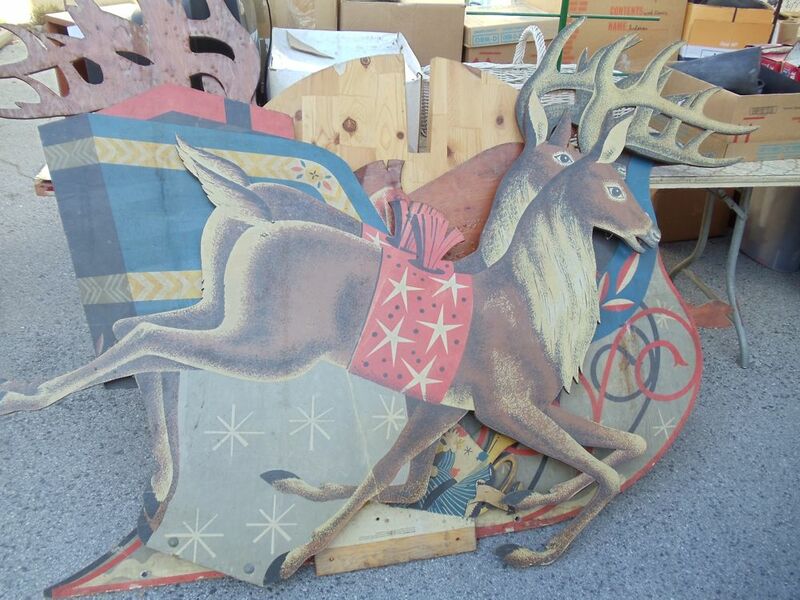 11:30am: Aren’t these vintage reindeer holiday decorations neat? It is 4 pieces, a sleigh, toys, and 2 reindeer. I have never seen anything like it! 1pm: I had pizza delivered to the job site, I ordered 2 larges, one cheese, one supreme, and some bread sticks and man did they hit the spot. I never take a lunch break but my assistant Devin helped me realize that people that work for me need to eat! The guys devoured the pizza and then we got back to work. 1:15: The 5 of us start to unload the loft in the barn. Esa and I handed down 7 large trunks, 4 horse drawn sleighs, antique plows and fruit crates to Jim, Lance, and Unga. Unga and Esa are from Tonga and I don’t think they had ever seen a sleigh before, I guess it is pretty rare occurrence in California too since we don’t get much snow! Poor Esa was stuck in the rafters with me for 2 hours, he was laughing at me because I was convinced that I was going to find a dead rat (luckily I did not). 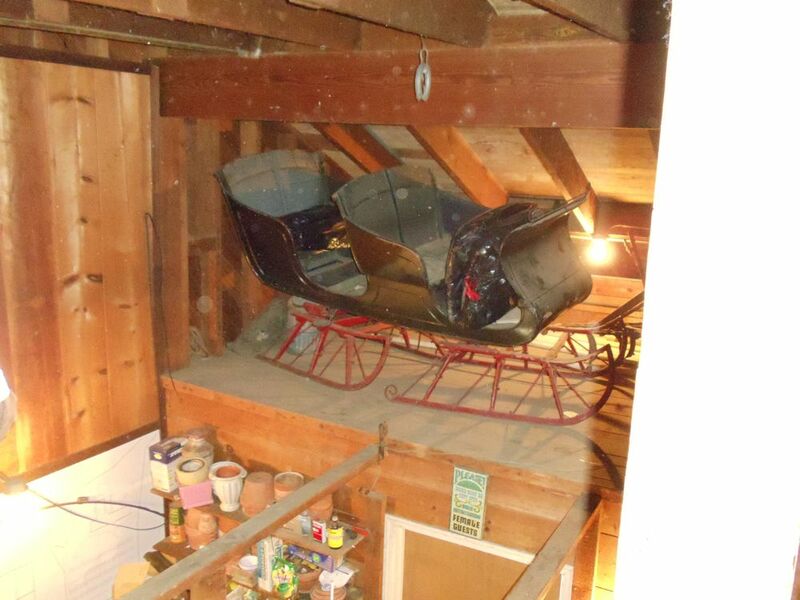 3:30pm, the last sleigh gets moved down from the rafters! It was much heavier than it looks and I will remember this project for the rest of my life! I am so thankful that every day is fun and exciting! 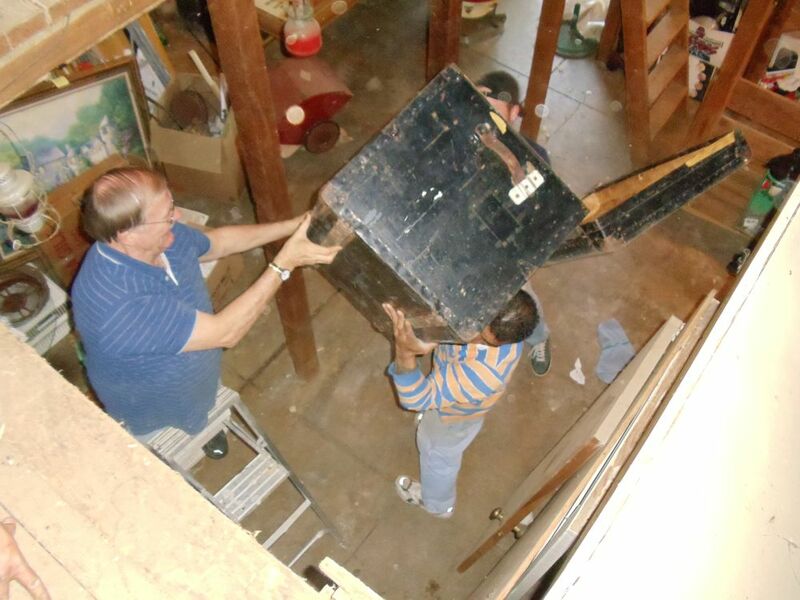 From 3:30 to 4:30 we continued to move items into the garage and organize the job site. 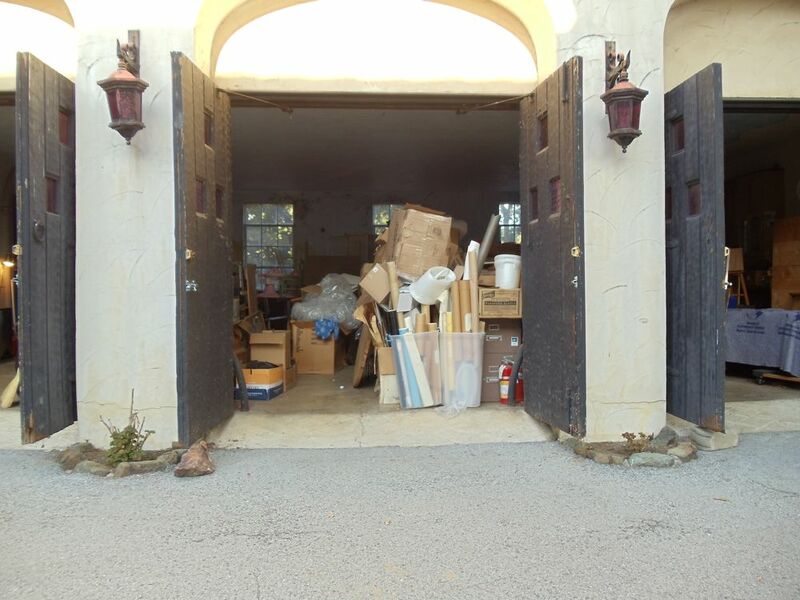 There is going to be dumpster delivered tomorrow and I wanted to make sure everything was sorted, everything that I wanted my client to go through was put inside the house, all of the garbage was in a pile, and all of the items that were going to be sold or used for the sale were in one place. 5pm: I arrived home and unload my truck and then come inside and spend some quality time with Harper. I had 2 new clients call me and 3 new clients email me so I tried to respond to their calls and emails before Chris got home from work. I have been so busy lately and I can’t complain, I love what I do and I do what I love. I just wish that I could duplicate myself so people didn’t have to wait to work with me. 7pm: I baked BBQ chicken tenders in the oven to put on salads for dinner. When Chris got home from work he told me about his day. Since everyday is a fun day at Google there is always something new going on, I guess next week we get to see a private showing of the Michael Jackson Circus Soleil which we be exciting. 8pm: After dinner I catch up on more emails and the blog and snuggle with Harper on the couch. 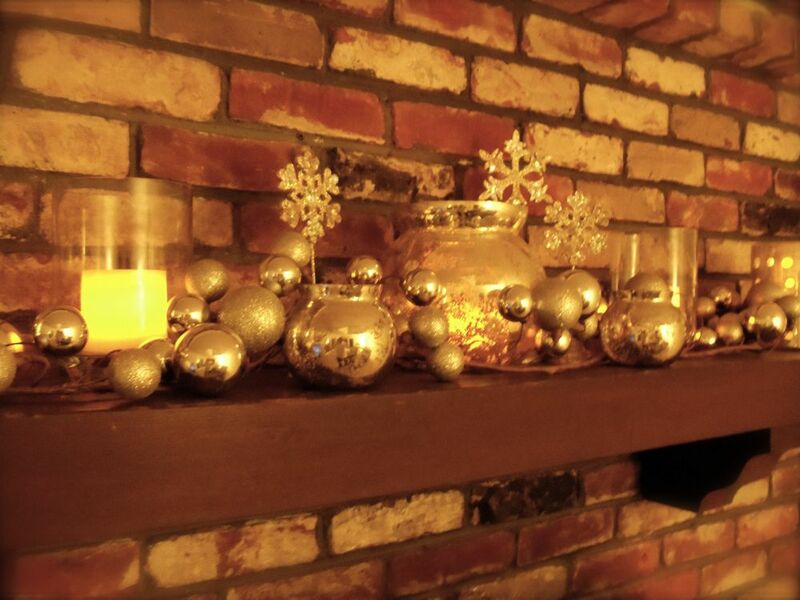 I decided to keep my mercury glass and snowflake mantle up through January. I just love the battery operated candles in the mercury candle holders, they are definitely my favorite home decor item. We watched our favorite show “Castle” and then hit the sack. This week is going to be another busy week, I have 2 organizing sessions back to back tomorrow and then I will be back at the Estate on Wednesday and Thursday, Friday I have another long organizing session in Los Gatos and then Saturday I am working in San Jose. I hope you enjoyed my day, please come back again soon and say hi! 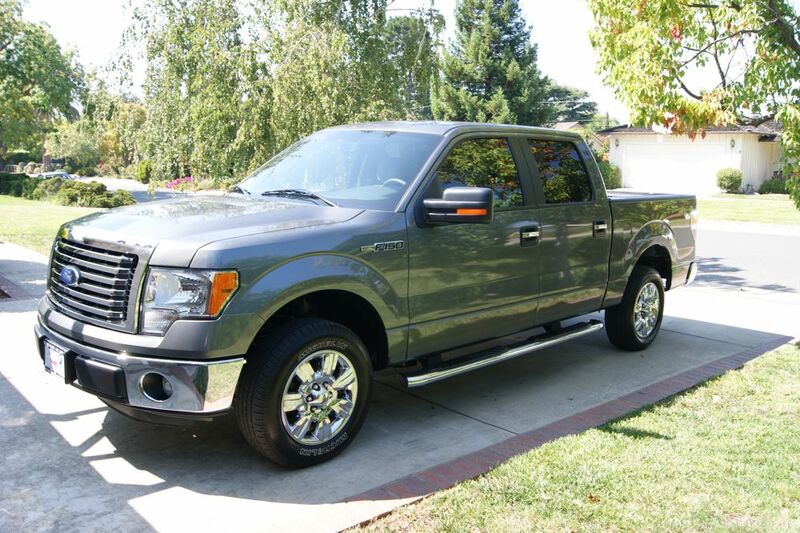 Love the new truck! Do feel like you're back in HS? Yes, it makes me feel really tough! I am tired just reading about what you did yesterday. So glad you “love what I do and do what I love”. Not many people can say that. I loved reading about your day! WOW! WOW! WOW! 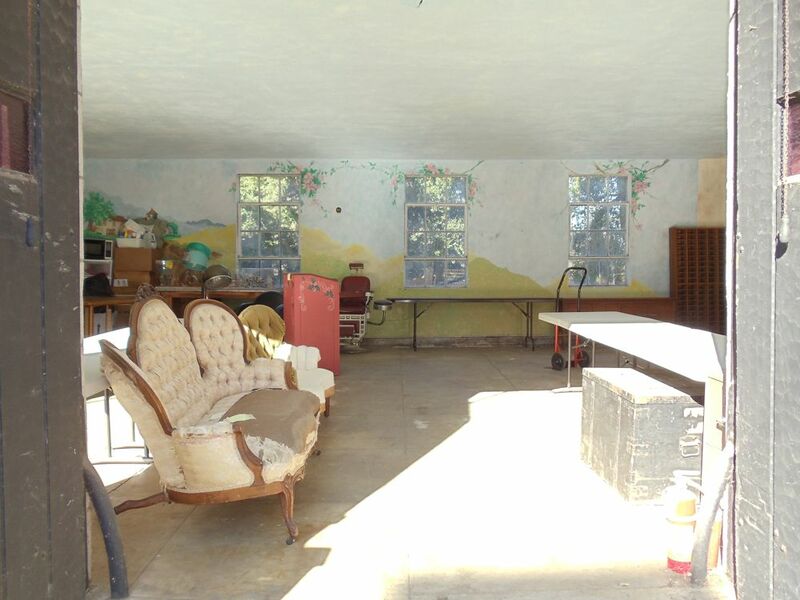 That garage looks gorgeous and I cannot believe all the cool stuff you found in there. I think that must have been Santa's house at some point. We have to have an estate sale for my parents' house soon. 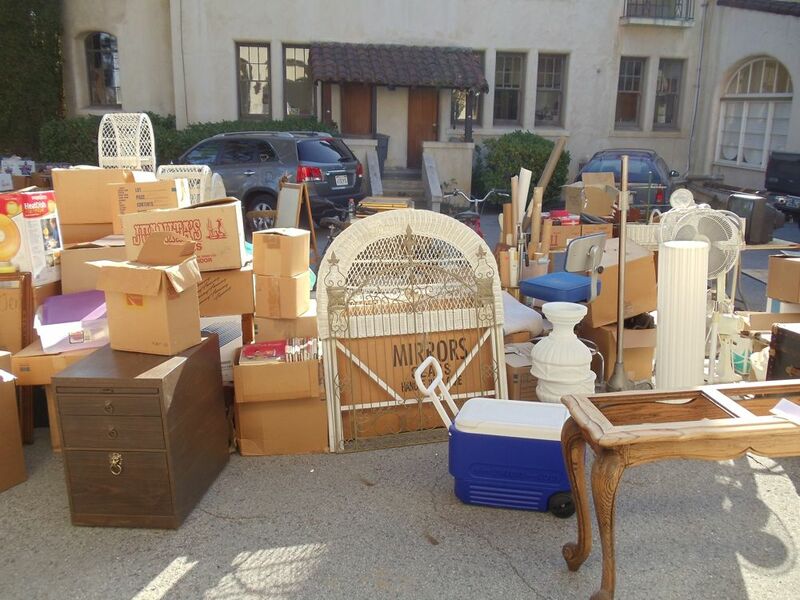 I love estate sales, but I just can't bear the thought of selling off my parents' belongings. Such a different feeling being on the other side of the fence. You are right Kim, it is a different feeling being on the other side of the fence. You just hope all their precious belongings go to someone who will love them also. Matching up the items to the new buyers is my favorite part of the sales, I love seeing a happy buyer walk away with something special that they will enjoy! What a fantastic job you have. You must find so many wild and amazing things in peoples houses and garages. I wanted more pics! I am so glad that you love what you do. I really enjoyed seeing what your day was like. I loved the pictures. That garage was amazing. I hope you will do a post about the estate sale. Thanks for the look into a day in the life of Amanda Kuzak. What an awesome job you have! Although it does look like a lot of hard work…like you said everyday is something new! How fun…I saw some fun treasures! What a neat job! 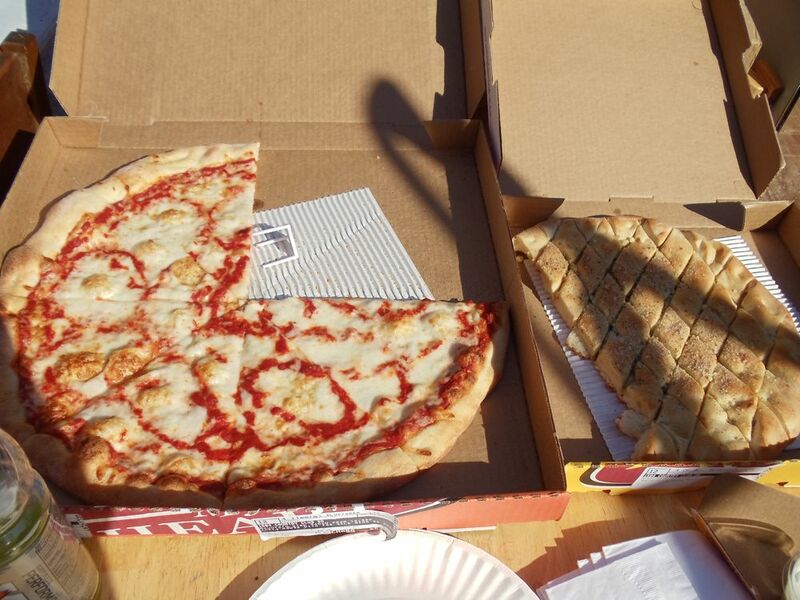 And, that pizza looks so good…now I want pizza for lunch! I love Castle! It keeps me on my toes, I can never guess who the killer is! Wish I could go to that estate sale! Looks like some great treasures could be found! I don't know if it looks as good in person but someone put a lot of time and effort into painting the back wall of the garage. I hope the new owners don't cover it up – it would be a shame. I am an aspiring Professional Organizer and I just love reading posts like this! Your blog is the first one I've seen that details what it actually is like to be a PO and has inspired me to push forward towards my goal. Thanks! I look forward to reading more! Thanks Rachel, I'm glad to hear you like the blog. 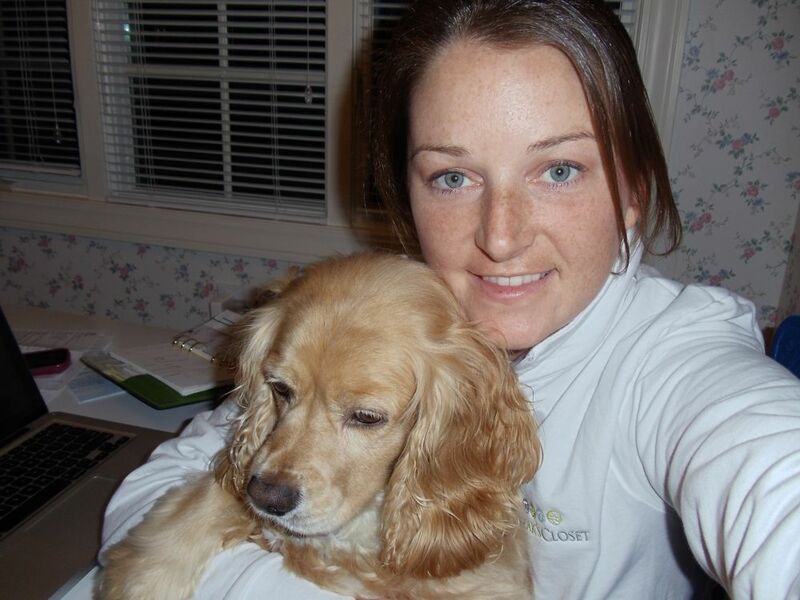 There are lots of other “day in the life” posts under that tab on the blog. There are a lot of organizers who just tell their clients what or sit an sort paper all day, I am glad to be hands on with my clients. This is my first visit here and I hope you have other posts about what you do. My dream job, except of course for wanting to bring too much of it home with me. I love seeing other people's houses and doing displays and finding cool treasures. And when you hve a fun team to work with you all the better! Now – stop and have some lunch at least a few times a week! Thanks for your comments! I try not to buy anything from my estate sales but I will say it is tough to say no. Google is an awesome place to work, my husband has been there for a few years and he loves it, especially the food! SO Bummed I missed this month. Will do again in February! I love seeing how you spend your day. It's always an adventure! I'm bummed you missed it too! Next month!